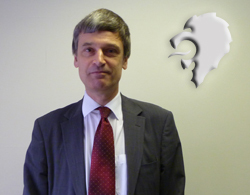 Chris is an engineering graduate with more than 30 years’ experience in the rail industry. Starting in British Rail’s Operational Research Department, Chris worked in a number of roles in BR’s Eastern and Southern Regions before joining the BR Business Systems’ team in York to help develop a new train planning system. Chris joined Alliance from Funkwerk Information Technologies, where he was Consultancy Manager. In that role Chris managed a wide variety of train service planning, timetable robustness and simulation projects, and Chris was influential in gaining train paths to Sunderland and Bradford for Grand Central. Prior to that, Chris led the development of TrainPlan, which is in use as a train planning system in major railways around the world, and designed ResourceManager, a software tool for managing the minute-by-minute assignment of rail vehicles and crews. Chris prides himself on original thinking in his work, backed up by attention to detail and thorough analysis. He has worked effectively with railway managers around the world, from Norway to Australia, and is able to bring international knowledge to his new role. That role, as Head of Development, will be to develop service plans and timetables for new services on behalf of Alliance.